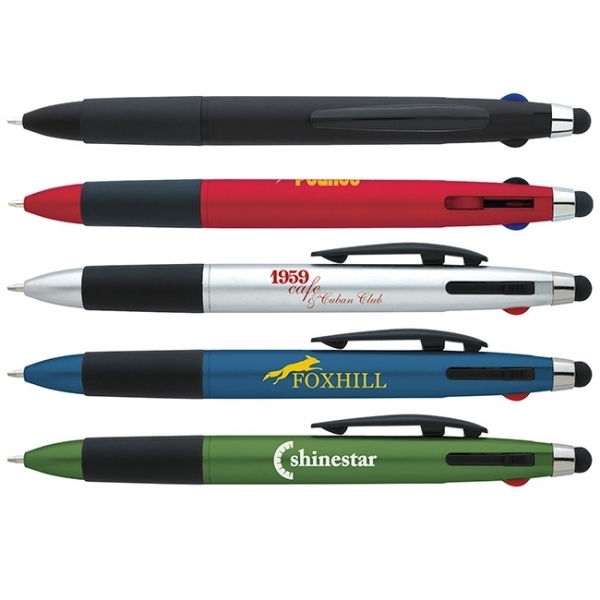 Your campaign succeeds with flying "colors" once it includes the multifunction stylus pen! 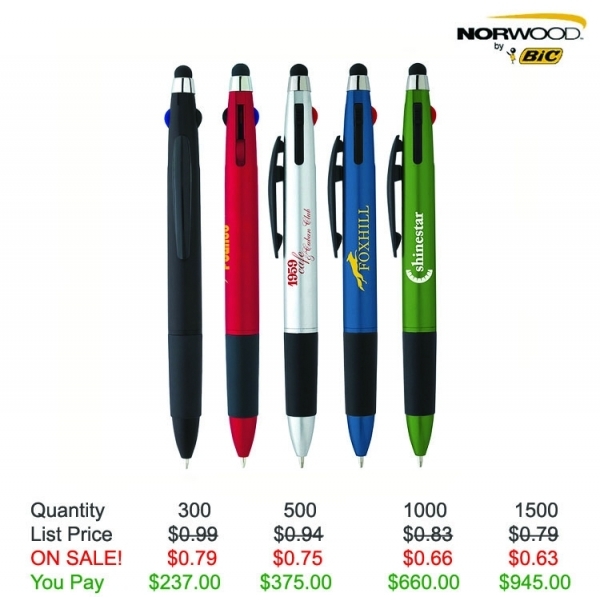 Featuring a soft-touch stylus, grip and black, blue and red ink with a medium point, this multi-functional writing instrument with a clip satisfies multiple client needs while promoting your brand. 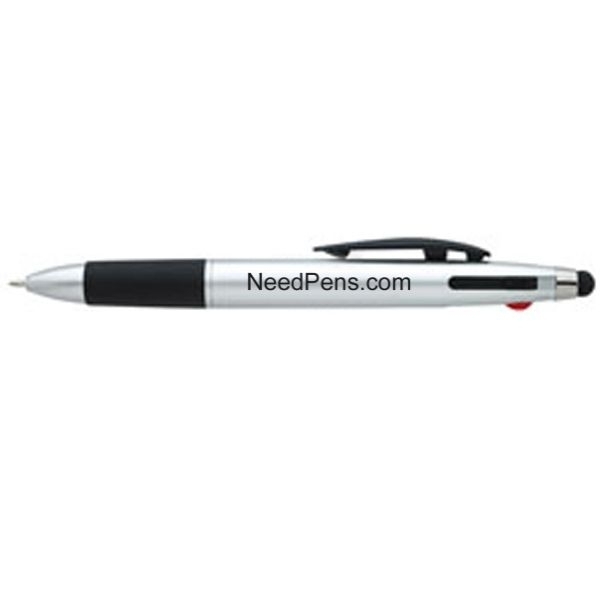 These pens come with Free Setup, Free Artwork and Free Shipping! Item Size: 5-5/8"l x 1/2"dia. 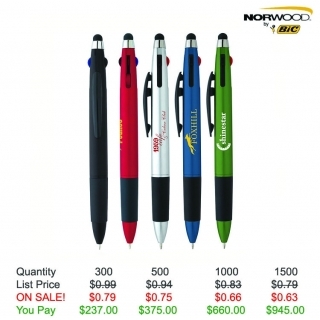 Item Color: Black, Blue, Green, Red, Silver. Imprint Location: Right of Clip.